PALMETTO, Florida – Port Manatee has been awarded a $326,456 federal security grant, enabling the Central Florida Gulf Coast port to enhance its access control system. “Port Manatee is highly appreciative of this latest funding, as well as previous federal grants that are facilitating leading-edge security at our dynamic seaport,” Port Manatee Executive Director Carlos Buqueras said today, following notification of the most recent award. The latest funding, through the fiscal 2018 Port Security Grant Program of the U.S. Department of Homeland Security’s Federal Emergency Management Agency, is to be matched by the port with a 25 percent cost share of about $108,000 to advance modernization of Port Manatee’s access control system. 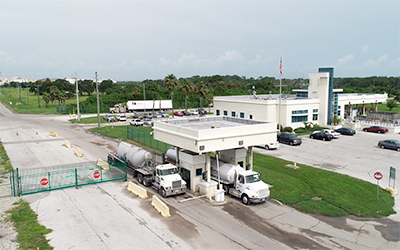 When Port Manatee activated its original Transportation Worker Identification Credential-based system in 2012, it was among the first U.S. ports to have such a TWIC-based system in operation. Port Manatee and its users also look to benefit from another fiscal 2018 Port Security Grant Program award, that being a $180,414 grant to the North River Fire District, to be used toward acquisition of a response boat with firefighting capabilities. Currently, a $946,950 federal security grant awarded in fiscal 2017 is being joined by a 25 percent port match in expanding Port Manatee’s north gate, including doubling the number of exit lanes to four. Prior competitive federal security grants totaling nearly $400,000, awarded in fiscal 2015 and fiscal 2016, have enabled Port Manatee’s bolstering of resiliency and recovery through emergency power generation capabilities at the port’s primary operational building, acquisition of a specially equipped response vehicle and installation of security-related software upgrades. 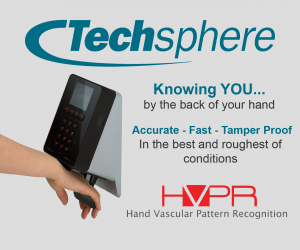 destined for access control system enhancements.